Ballot Designation: Why Did I Say Teacher? I have been informed that a candidate was upset about my Ballot Designation saying Teacher. Those who know me, know the concerns I had when determining my Ballot Designation. I am a substitute teacher part time. My desire was to use Community Volunteer. Community Volunteer is what I have been doing for over 20 years and is what I see as my “primary profession”. I have the utmost respect for teachers. They are hard-working individuals who spend every day on the education of students. Teachers spend their “days off” still working on lessons, grades and plans. Through their efforts they build the future of our communities. As a substitute teacher, I do not carry the same responsibilities as a full-time teacher. I did not spend the years they did taking the classes to earn their degree. I am not required to take continuing education classes to maintain that title. I know this and worried it might be disrespectful to claim their well-earned title. Like everything regarding this trek, I studied the matter and read the regulations regarding choice of Ballot Designation. I contacted the Elections Office and asked them specifically what I could and could not use. I also asked friends their thoughts about using Teacher. I went in with multiple options as to designation. In the end, the Elections Office wins. They insisted that since my only source of individual income was as a teacher, I must use that designation. Additionally, they would not allow me to add community volunteer as it was not related to my income or my title as teacher. Should this designation as teacher offend anyone, I am truly sorry. 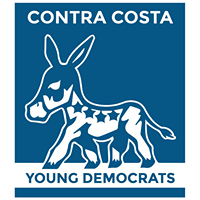 On and interesting side note, if I am blessed enough to win this election, I will no longer be allowed to teach in Contra Costa County schools. It is considered a conflict of interest. Ironically statewide this does not apply to individuals running for school boards with financial ties to charter schools in the county they serve. Author lettennaPosted on August 27, 2018 Leave a comment on Ballot Designation: Why Did I Say Teacher? I am a three-term Antioch Unified School Board trustee and I feel that Annette has the best interests of students in the forefront of her decisions. Her volunteer background of 21 years in PTAs all the way up to the state level, will serve her well when elected. As a retired middle school teacher and College Professor I support Annette Lewis for Contra Costa Board of Education District 5. Our district deserves representation that will be respectful and in the best interest of our students. I endorse Annette Lewis because she has demonstrated consistent support of all students throughout her many years in public education and she will continue to do so to ensure our public schools remain top schools educating all our children. Our county board of education needs Annette’s perspective and expertise as a parent who has been an active leader in our county’s schools.